Today I have the honor of sharing my good friend Ginny Ryan’s story. It’s a bittersweet honor because sharing and reading a personal gluten-free story can admittedly be emotional. Telling one’s own gluten-free story can be cathartic and helpful but, yes, it’s also emotional—it can even be painful—as one has flashbacks of all one went through and re-lives all the misdiagnoses. But I’m convinced that it’s largely in the sharing of these stories that individuals recognize their symptoms and demand the right diagnosis from their physicians. Some of you in the gluten-free community might know Ginny by her nickname and Twitter handle, Irish Heart. She first shared this post on her personal Facebook page and I asked her if I could share it with you all. I’m so glad she agreed and I’m so grateful to her for being willing to share her personal story of celiac disease. Celiac has many “faces” and doctors don’t know them and/or refuse to acknowledge celiac as a reality. Many of us suffer for years, if not decades, with these symptoms before we finally get a diagnosis from a knowledgeable physician, or we find the gluten-free living solution on our own. Please read Ginny’s personal gluten-free story and share it with anyone you think it might help. Now I’ll turn the floor over to Ginny. We’re a nation in love with wheat. We love our gluteny goodies: bagels, donuts, pasta, croissants, pizza. cookies. It’s also why we are often fat and sick and in pain. But the doctors will tell you there’s nothing wrong with you. At least, nothing a pill won’t “cure” anyway. So they load us up with acid reflux meds, blood pressure pills, heart medications, cholesterol-lowering drugs, pain medications, anti-anxiety meds, sleeping aids, migraine medications, Lyrica for nerve pain and various anti-depressants … and send us packing. When you say, “But, these are not helping, doctor; they are making things worse!”, they make you feel as if you’re crazy and in need of psychiatric care. It must be “all in your head”. And I cried a lot because of the bone/joint and muscle pain and burning nerve pain. I screamed to the walls, “Why can’t they help me?” Doctor after doctor after doctor. I lost count of how many times my husband patiently drove me to appointments and then held me in his arms as I cried bitterly out of frustration and disappointment after every one of them. We’d been dismissed once again. I even tried homeopathy, biofeedback, months of myofascial release, acupuncture, even rolfing (look that up)—out of sheer desperation. I would do anything to make the pain stop, but NONE of it helped. Thousands of dollars spent on nothing. “Eat MORE whole grains—you need fiber!”, I was told by the GI’s Nurse Practitioner … So, I did. And my brain fritzed and my nerves fried and I went downhill. My bones and joints and skin burned like mad. 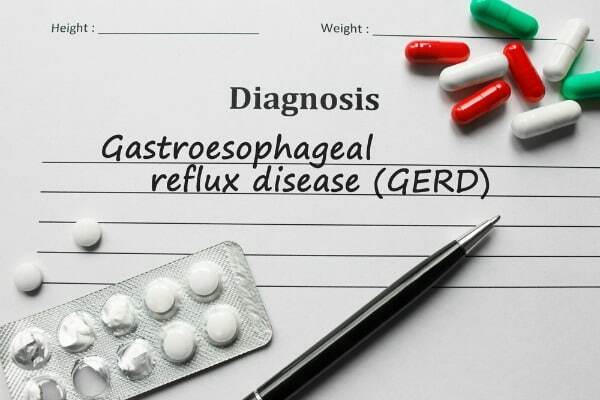 I was told I had GERD and IBS for 12 years. I wonder how many people are given a Fibromyalgia syndrome or Chronic Fatigue Syndrome diagnosis … and quite possibly left undiagnosed for celiac? My new GI doctor and I have discussed this and we speculate … possibly millions?? Approximately 4 million Americans—1.5%—have “FMS” and between 30-60 million have severe fatigue 10-20%. I wonder how many people are in mental health wards because their brain function was affected by celiac. I did not even tell people half the stuff I was experiencing for fear they would think me completely mad. Approx. 30 million Americans suffer from depression—10%. Neurological symptoms affect up to 10% of celiacs. I suspect the dozens of doctors I saw thought I was just a crazy, menopausal woman. I am pretty sure they thought I was making things up. I had many of them give me the pat on the back and the suggestion that I needed to do volunteer work or seek counseling. Really? Who “makes up” a 90 lb. weight loss?? hair loss? vitamin deficiencies? dehydration? migraines? Do you think these numbers mean anything? Yes, me too. And I am going to say it: We’re a nation of sick people because of the medical profession’s inability to recognize Celiac Disease (and Non-Celiac Gluten Intolerance) for what it is. Celiac is the result of genetic and environmental factors. Celiac is a beast that is bigger than anyone in the health care profession wants to admit. And for the life of me, I cannot understand why. MS? Lupus? Lyme–and maybe 10 other possible diseases? No, I don’t!!! (I said to myself). And I heard this one too: It’s “idiopathic”. No, it isn’t. It had a REAL CAUSE. GLUTEN and CELIAC DISEASE. I had to undergo extensive dental work, several surgeries, lost my gall bladder and I have a few AI issues—osteoarthritis and osteopenia among them—and the constant joint/muscle, connective tissue, back and neck pain I suffer has resulted from YEARS of being undiagnosed. (but I am getting better OFF gluten and with physical therapy and massage therapy). I am childless because no one thought to test for that when I kept miscarrying over and over and infertility treatments failed. With 25+ years of misdiagnoses comes a lot of collateral damage. But I am alive and I try to reaffirm to others who are seriously ill and losing hope that it is not “all in your head”. 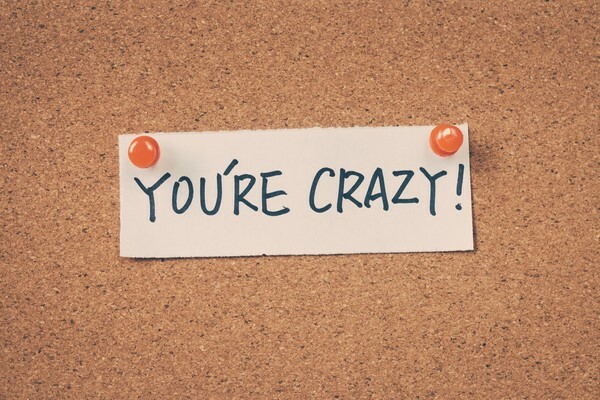 You are not crazy. I believe you. And it is essential that doctors LOOK at all these symptoms and see that it could be Celiac because left undiagnosed, more AI diseases may well develop and the chances of death from celiac is very real. However, the good news is…if you are diagnosed and go on a gluten-free diet, your chances of this happening go down to the same rate as anyone else! And since my diagnosis and starting a GF diet, I take absolutely no medications, except a small dose of levothyroxine. Thyroid disease is often a co-morbid diagnosis with celiac. Those “few dozen meds I would have to take for the rest of my life”? Hogwash. The “Hoveround” they suggested I get? Baloney. I own a bike. Doctors need to stop symptom treating and start identifying the underlying cause. It’s just that simple. Oh, we need Celiac Awareness alright. We need it in the medical community most of all. Thank you Shirley for this post, and thank you Ginny for sharing your story. A brave and strong heart you have. I read this post twice and yes I have been there too. And yes, I could still cry tears over lost years of being desperately ill. Despite all the knowledge, information that is out there in our world – Celiac disease still has a long way to go in terms of “educating” the masses. Just did a post myself on this very thing – so frustrating especially when even your own family members don’t “get it”. Bless your hearts, Shirley and Ginny…we Celiac’s need the sharing of stories like this one presented here. (I want to send this to every family member I have (and there are a lot of them) Sadly, some of them still won’t get it, and I have been gluten free for 20 years!!! Hi Ina–Thanks so much for taking the time to comment and share your personal story! I will definitely check out your latest post. As you’ve shared, there still so much education to be done! As I’ve stated many times before, I don’t think folks will “get it” until there are meds and they’re seeing commercials on their symptoms and feeling validated. Doctor will get educated via pharmaceutical reps. The companies that makes the meds will spend big money improving testing and expanding the scope of what constitutes celiac/NCGS that must be treated so they get more customers. It’s sad that that is what it will take, but it’s true. We can only hope that most will see that they can simply adopt a gf diet vs take meds that inevitably will have side effects. This sound like my journey! I was told IBS.. Nervous stomach constipation I have 3 autoimmune diseases I’m sure because of my undiagnosed Celiac Disease I have been healed though thru my diet my energy and pain mostly gone… I’m so happy to feel normal in my gut! !my son at 26…. Found out right after me.. And my granddaughter as well! I’m so glad that you are on your way to good health! My research makes me realize too most people with Celiac first get diagnosed with at least one or more other autoimmune issue! This is sure a serious thing! Dar–If we could have everyone’s stories side by side (or even their “stats”—number of misdiagnoses, etc. ), it would a stunning sight to see! Comforting to know we are not alone! 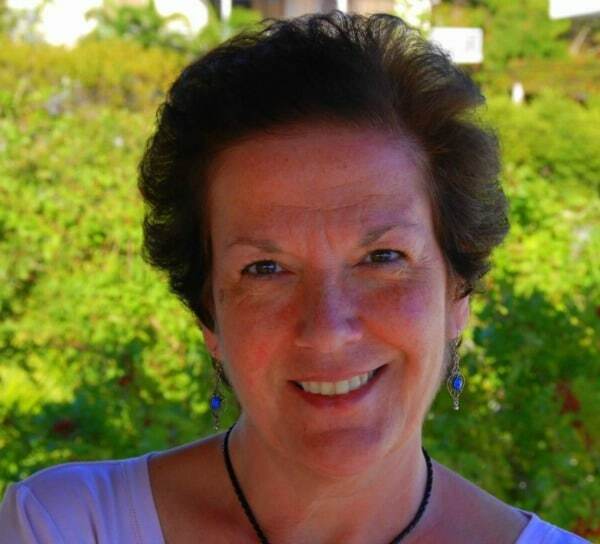 Thank you, Shirley, for sharing Ginny’s story – and Thank you Ginny for sharing your painful story of misdiagnosis, and suffering. May your health now continue to improve. I would also like to share your post on my blog. It’s hard to look back sometimes. We went through so very much! gfchopstix–You’re welcome and thank you for sharing the link on your blog! I know Ginny’s story will resonate with so very many!